News of Nancy Reagan's death broke early Sunday morning, and it's clear that the beloved former First Lady was still as important as she was when she lived in the White House. Everyone from politicians to journalists to celebrities took to social media to mourn the death of the influential political activist, who was made famous for many things, including her fashion and exquisite taste, during her tenure as First Lady. 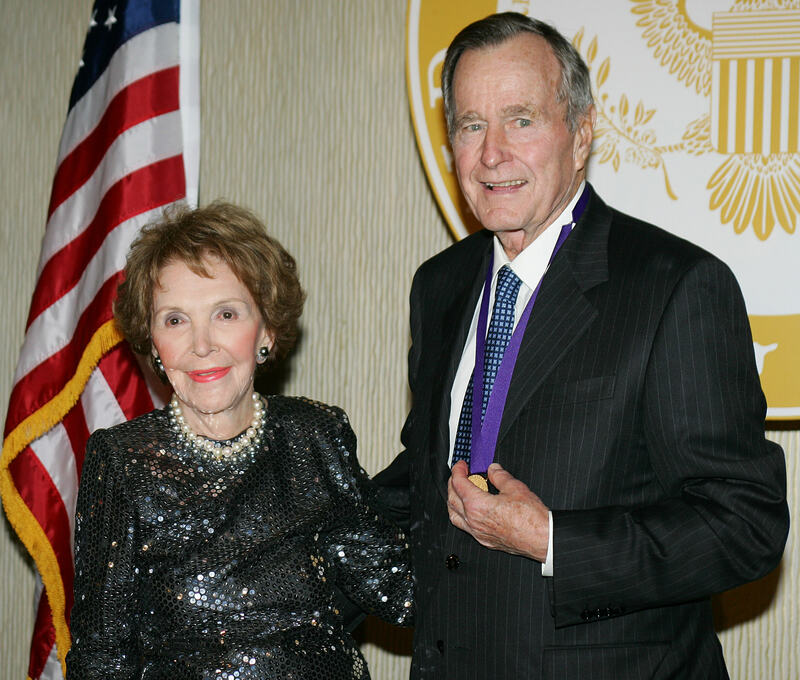 However, her legacy was truly solidified by Nancy Reagan's "Just Say No" campaign, which championed education and compassion for substance abuse. Reagan first became aware of the individual impact of drug use in 1980, during a campaign stop at Daytop Village, a substance abuse treatment center for young adults which was located in New York, according to the Ronald Reagan Presidential Foundation. Over the next several years, she traveled the country, visiting and speaking at thousands of schools to teach children about the harms of doing drugs. In 1982, when she was asked by a young girl what she should do if offered drugs, Reagan replied, "just say no," an infamous story that her husband told back in 1989 at a benefit for the Nancy Reagan Drug Abuse Center. The quippy response bloomed into a national slogan for the drug-free movement, and more than 12,000 clubs throughout the nation were started to educate kids and keep them away from drug use. After years of lobbying and fighting to see her causes included, Reagan's husband signed the National Crusade for a Drug Free America Act into law in September 1986, securing public funding for substance abuse treatment for another six years, one of Nancy's primary objectives. The bill has since come under harsh criticism in recent years for its tough mandatory minimum sentencing provisions, but at the heart of Nancy Reagan's work was always a devotion to giving young people better lives. In the end, her work paid off — by the time she and her husband left the White House, drug use among high schoolers had fallen significantly, according the Ronald Reagan Presidential Foundation. Reagan's work had a social awareness that was truly ahead of its time. She never shamed drug users or tried to scare kids — she simply wanted to keep young lives from falling into despair due to drug abuse. The nature of her activism is an important reminder of the need for compassion in these cases, and the need for awareness about the state of drug use among kids and teenagers. Reagan's work will live on for many years to come, with her kindness and grace providing the emotional center of future drug reform policies.